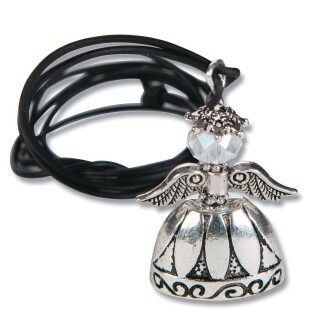 Assemble together a mix of crystal beads and shining metals to create 6 angel pendants, 2 each of 3 different designs. 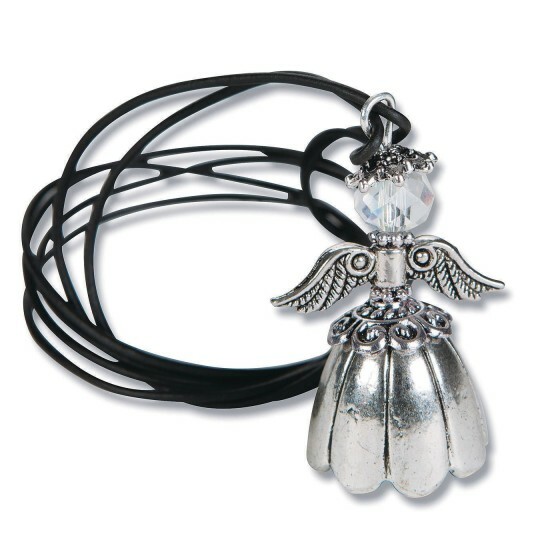 Perfect for necklaces, we include pleather cording to create a pretty vintage angel necklace. 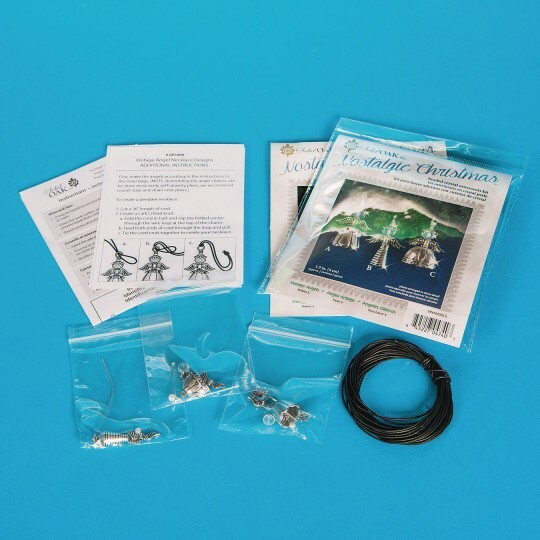 All supplies and instructions included. Jewelry tools are recommended but not necessary for assembly. Angels measure approximately 1-1/2” tall. Necklace length up to 36” each. Pack of 6.